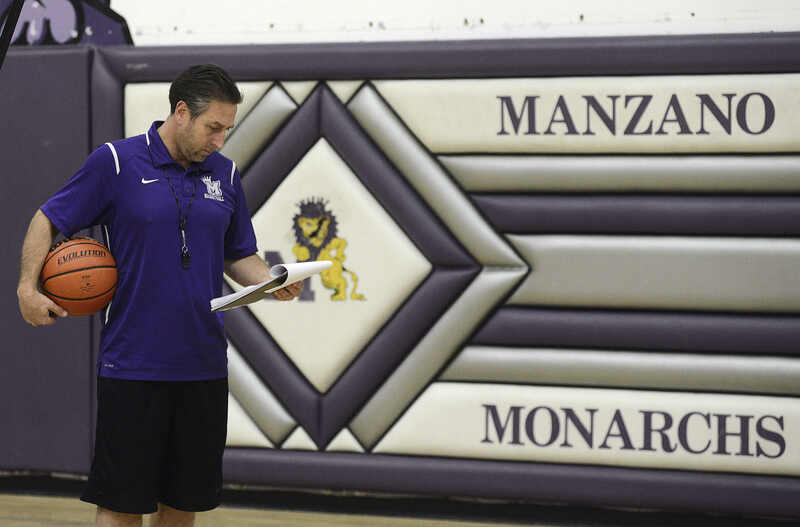 As the game of basketball has changed, so has the way to get a coaching job. Creating a coaching portfolio is a must when interviewing for a position. With the 2017-2018 basketball season coming to a close, many athletic departments will begin coaching searches to fill vacancies. In the constantly evolving business of basketball, the interview process has changed over the years. It has transitioned from simply sending the typical items of a cover letter, résumé, and references to to one of digital portfolios and presentations to interview panels. Even though coaches still need to send these common materials to apply for the position, you still need to set yourself apart from the competition. We all know how competitive this business is! Personally, I just completed my 12th season as a head coach and I have been involved in several interviews during my career. In this post I will highlight some of the items that make up my personal coaching portfolio. Of course, this should be adjusted to fit your own coaching style, philosophy, beliefs, etc. and what you feel is important. Allow it to serve as a guide to get you thinking about your strengths and value as you develop your own interview material. What is a coaching portfolio, and why is it important? A coaching portfolio (also known as an interview portfolio) is a tool that provides a potential employer insight on how you operate as a coach and person. It can answer a lot of questions for a potential employer before an interview even takes place. This can also be the difference between getting the interview, or having your resume placed at the bottom of the pile. All coaches should write down their thoughts and beliefs on all aspects of their programs. For assistant coaches aspiring to be head coaches, use the things learned from bosses you have worked under. This document is constantly changing and should reflect how you plan to run your program, from top to bottom. Although there is no set time to send your portfolio, you want to give yourself the best advantage possible. General thought here is to send a hard copy of your résumé and portfolio ahead of time to the athletic director and anyone else you have identified as important to the hiring process during your research. With that said, it is also a safe idea to take copies of your portfolio to the actual interview. Be sure to do your homework first on how many members will be on the panel so you can have enough copies. Make sure your personalize the cover letter and information to specifically fit the school/location. As with any career or job, make sure your résumé highlights major skills and expertise. List main responsibilities in your current and/or pervious positions. Tip: make sure they match what the potential school is looking for in that position. In this section, summarize your coaching experiences. Highlight the different successes and achievements that you were apart of at each coaching destination. This is an opportunity for you to tell your story and career path. It should be written in a way to show the growth and advancement that you have obtained, both on and off the court. However, be mindful not to make this too long – keep it to a page at most. These two statements are often confused with each other, so let’s talk about what makes up each one. Some coaches provide one or the other, and some provide a single message that combines elements of both, so just decide what works best for you. Vision Statement is your declaration of your short, mid, and long term goals for the program, and how you will achieve them. Mission Statement is a way of communicating the purpose of the program. What are some of the main goals of the program in a larger sense, maybe even beyond basketball, under your leadership? Although this will remain the same for a long period of time, it is not uncommon for coaches to update a mission statement as the program evolves. The key to this section is doing your homework on the school you desire to work at. Ideally, your vision and mission statements should match the overall strategic plan of the school and athletic department. If they don’t, it may be a sign that this is not the right fit for either party. In this section, you have a chance to show off the research done on your desired job. It’s a place to provide your thoughts on the strengths, weaknesses and opportunities in regards to the program. Be sure to include how you will improve upon those weaknesses as well as enhance the strengths. Show that you really understand the current state of the program, and what needs to be done to build change and head in positive direction. Here is where to describe the expectations for all aspects of your program. Talk about what is expected for the head coach, assistants, support staff, players, administration, alumni and any other group that will be an important part of the program you run. Provide a clear understanding as to what everyone will be asked to do, and how it aligns with the overall vision for the program. 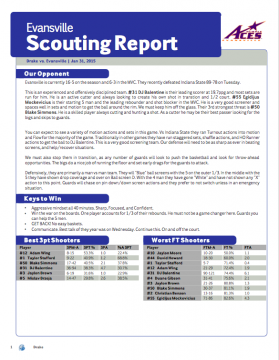 Cover every aspect of your program on and off the court. 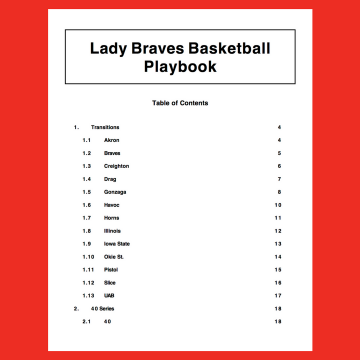 Including tangible materials for the interviewees, like a FastDraw playbook or FastScout report, is a great idea to show what kind of team you aim to build, as well as how you will prepare for opponents. This demonstrates the work that will be put into every game practice, game, meeting, conditioning session, etc. under your watch. A clearly defined playing strategy shows that you know what works in order to win games and be successful. At the same time, you need to communicate that you are constantly growing and staying up-to-date on the most current trends in basketball at your level, as well as be able to tailor your style to the strengths of your team each season. Any future AD will be curious how you plan to develop the players inside your program. Provide examples of your in season and off season player development philosophies to teach the skills necessary for players in your program to attain. This can be done for whole team or for individual player. Again, utilize your resources to create a workout packet, training guide, calendar, etc. Tangible, hard copies of these materials that you can leave with an interviewer will make an impression – not to mention it will be sitting on their desk as a reminder of you and the preparation you went through for the interview. Lastly, take the opportunity in this section to describe your ideal player. This will depend on the level you coach, as it could be a detailed description or your recruiting philosophy if at the collegiate level, or simply the type of qualities you will look for and instill in players are the high school or youth levels. Make sure you cover characteristics that make up a great student-athlete/all around person. Your future employer will want to know what type of individuals will be representing it in competition, and in the career world once they are done playing. Hopefully this helps you not only prepare for and land your next coaching job, but also dive deeper into what your strengths and weakness are as you perform a self evaluation of your coaching skills. Best of luck this hiring season! Successful head coach at Varina HS in Virginia. Coach Lacey has a proven track record running all aspects of a program. Accomplishing 166 wins coaching at the high school level; with a proven ability in developing basketball programs into playoff caliber teams with an emphasis and focus in preparing student-athletes for college-level competition. Coach Lacey as guided his team to the VHSL Class 5 State Title this past season, along with the 2018 5B Regional Title. He was named VHSL Class 5 State Coach of the Year. 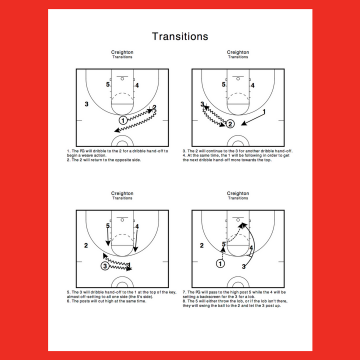 An article of his titled "Using Ball Screens in your Motion Offense" was published in Winning Hoops Magazine in September 2015.